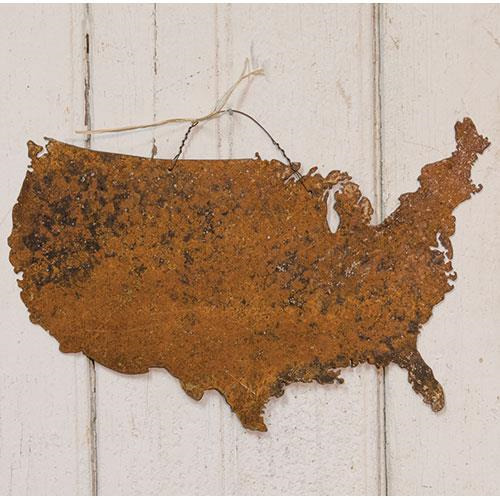 USA Map Metal is a thin metal ornament cut out into the shape of the United States. Item hangs on a thin wire loop and is accented with raffia. Measures 11" wide by 7¼" high.